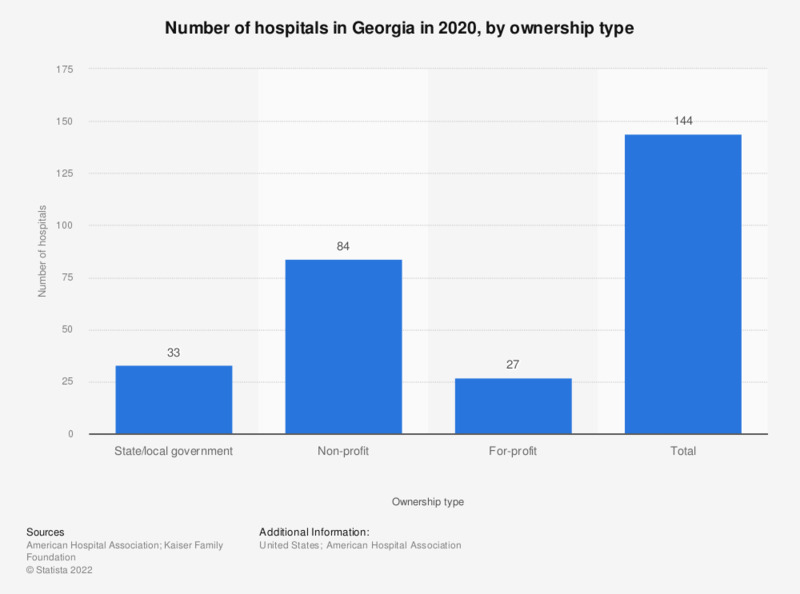 This statistic depicts the number of hospitals in Georgia in 2016, by type of ownership. During this year, there was a total of 141 hospitals in Georgia. The number of hospital stays has increased in recent years due to increased population numbers. Data are for community hospitals, which represent 85% of all hospitals. Federal hospitals, long term care hospitals, psychiatric hospitals, institutions for the mentally retarded, and alcoholism and other chemical dependency hospitals are not included. Definition of community hospitals: All nonfederal, short-term general, and specialty hospitals whose facilities and services are available to the public.